Front and rear suspension parts, kits and accessories. Drop forged Drop Spindles for both King and Link pin and Ball Joint front ends in both Disc and Drum brake configurations. We stock a range of height adjusters for the front and rear of your VW including Avis and Torsion bar adjusters, adjustable struts and adjustable rear spring plates for both King and Link pin, ball joint and strut based front ends. Shock absorbers and inserts for Strut and torsion bar front ends for both lowered and standard VW's. We provide a range of Spring Plate Retainers in a variety of colours. 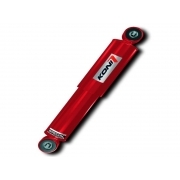 High quality Torsion Bars are extremely important to ensure that all of the required power is transmitted to the rear wheels. RPR supplies a wide range of heavy duty high quality Torsion Bars.